Whether it’s the kitchen or bathroom, your faucets and fixture should work flawlessly, while adding design and style in the process. Leave it to Delta Faucet to do both. From kitchen faucets and accessories to bathroom faucets, shower faucets, and accessories, Delta is a leader in functional, responsible, and inspirational plumbing products. Go with the 2 leaders in the industry, Delta & Mr.Rooter of Oklahoma City. From leading technologies and original designs, Delta has built a reputation as one of the most trusted brand names in residential and commercial faucets and fixtures. It’s not just how Delta kitchen and bathroom faucets and fixtures look and feel, but it’s also how they work. Delta is more than just a faucet-it’s a way to save resources, with its groundbreaking and water-saving technologies, like WaterSense-rated faucets and showerheads, and its exclusive MultiFlow, Touch2O, and H2OKinetic technologies. 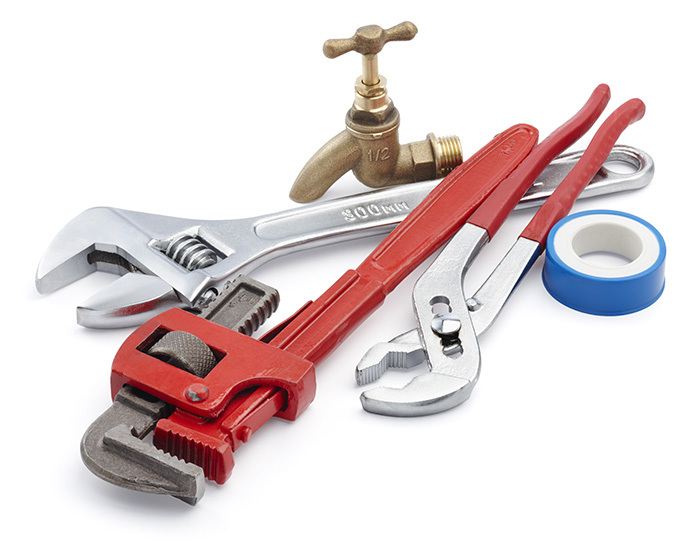 Delta is as committed to preserving our greatest natural resource as it is dedicated to offering the finest plumbing products for your home. Delta’s selection of kitchen faucets is as well rounded as any you’ll find in the plumbing industry. Delta single handle kitchen faucets provide superior water volume and temperature control, and Delta double handle kitchen faucets offer a broad variety of styles. Delta pullout spray kitchen faucets help to simplify food prep and sink clean up, giving you more time to spend time with those around you. Additional Delta kitchen faucets include the bar faucet and pot filler. These can be two of the kitchen dweller’s best friends, saving you time, space, and water. The bar faucet is designed to complement the main kitchen faucet, and can accomplish virtually any task. From filling a water pitcher for dinner, getting the water for coffee in the morning, or just providing an additional workspace, a Delta bar faucet adds tremendous value. And pot fillers are mounted next to the stovetop to fill cooking pots with water. This saves you the time and trouble of hauling a sloshing pot full of water from the kitchen sink to the stovetop, easing pressure on your shoulders, neck, and back. No kitchen is complete without its complement of accessories-and Delta kitchen accessories are plentiful. From soap dispensers and basket strainers to disposal flanges and air gaps, there are Delta kitchen accessories for you. And be sure to shop for your kitchen accessories as part of larger coordinated collections. The Dryden collection borrows from architectural elements. This art deco-themed family features clean lines, bold angles, and geometric forms to create an unforgettable family for your bathroom. Choose from bathroom faucets, tub and shower faucets, and a full host of bathroom accessories. What about a collection that gives your bathroom a timeless look? Try Delta’s Leland collection. Classic styling is combined with modern functionality-yet the Leland collection weighs heavily on the traditional design elements. Coordinated kitchen faucets and bathroom faucets allow you to carry the entire theme throughout your home. Delta’s Lahara collection takes its inspiration directly from the largest source of all-Mother Nature. Sleek spouts augment dramatic curves in this traditional-themed family for the bathroom. Delta’s Lahara collection includes bathroom faucets, Roman tub faucets, shower faucets, and bathroom accessories. While Delta is well known for its high-quality and aesthetically pleasing faucets and fixtures, its true value comes from its leading-edge technologies for the kitchen and bathroom. Delta’s MagnaTite Docking technology ensures that your kitchen pullout spray wand snaps firmly back into place. A gentle tug frees the wand to use the pullout spray feature, and a powerful magnet located in the wand pulls it firmly back into place. ceramic disc with a diamond-embedded ceramic disc to prevent water inside the faucet from mixing with other potential contaminants. Faucets with this feature are also designed to last up to 5 million uses, which is essentially a lifetime of drip-free performance. Also exclusive to Delta is the Touch2O Technology, which gives the user the freedom to control the water-without even using the handle. Just a simple touch to the faucet body enables you to turn the water on and off. Delta’s Touch2O Technologycan be found in the Addison, Trinsic, and Pilar kitchen faucets, as well as the Lahara, and Talbott bathroom faucets. Delta also has a multitude of amazing products for the bathroom. Bathroom sink faucets are the most-used fixtures in any bathroom, so keep yours updated. Delta single handle and double handle bathroom faucets are perfectly suitable for residential and commercial applications. Delta vessel fillers provide a distinct visual appeal, and Delta electronic faucets save water and money, while helping to stop the potential spread of germs on a faucet handle. No matter what you want or need in the shower, there’s a Delta shower faucet for you. From single-function and multi-function showerheads to the luxurious and popular Rainshower showerhead, Delta shower faucets are offered in every possible theme, like traditional, contemporary, and even commercial. Many Delta shower faucets are WaterSense-rated and include scald guard features. Delta tub and shower faucets offer similar features, and perfectly coordinate the showerhead, handle, and tub spout. Deck mounted tub fillers (also known as Roman tub faucets) are incredibly popular in homes today. These double handle fixtures are as beautiful as they are luxurious, and many come with a handshower. Look for a Delta deck mounted tub filler to provide a focal point for your bathroom while it adds water to your soaking tub. Like in the kitchen, bathroom accessories can truly complete their own space. A bathroom just isn’t a completed bathroom without accessories like a soap dispenser, towel bar, towel ring, robe hook, or toilet paper holder. And you know Delta has thought of everything, as it also includes efficient and flattering bathroom lighting in its bathroom accessories arsenal. Advanced technologies, innovative designs, and flawless functionality. Delta Faucet has it all.